You may see a suggestion that you wear a weighted walking vest for your workouts. Is this a good idea for most people? Given that weight vests are often expensive, learn the pros and cons of adding this to your walking workout gear. Of all of the weights suggested for walkers, a weighted vest is probably the least likely to cause injury. The extra weight is carried where the body naturally adds on extra weight—the torso, at the center of mass. You don't have the risk of repetitive motion injury and unnatural stress on the feet, arms or ankles you do with ankle weights or hand weights. A small study commissioned for the American Council on Exercise found that weight vests up to 5 percent of body mass were well-tolerated by subjects who didn't usually exercise. Overall, they didn't feel they were exercising more strenuously. If you have any problems with your knees, ankles, feet, hips, it is better to weigh less when you walk, as each pound adds more stress to those joints. A weighted vest would not be recommended for you. If you have no aches or pains, a weighted vest might be used, but there are usually better (or more useful) ways of achieving the same goals. You might walk wearing a backpack or hydration backpack that has the same weight as a weighted vest. Water weighs 1 pound for each pint, so a quart or liter of water is a couple of pounds. Add the weight of the pack and other essentials and you have easily added 5 pounds or more. In this case, you don't wear it specifically to burn more calories but to have your water and essentials handy. However, a backpack has disadvantages. The straps may be uncomfortable, and all of the weight is on your back unless the pack has a chest strap and belly strap to evenly distribute the weight to your hips rather than your shoulders. A weighted vest is designed to distribute the weight evenly and some people may find it more comfortable than a backpack. 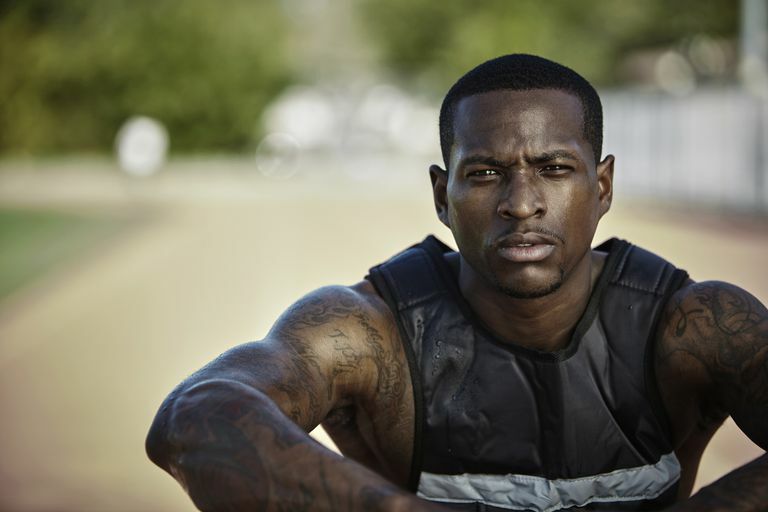 A weighted vest is used in many sports for speed training. If you train with the vest, then compete without it, you should go faster. If you have already trained fully for speed and distance and achieved the best results you can, then this may be a way to get further increases in speed. But if you still have basic training to do for speed and distance, concentrate on that without adding weight. You can learn to walk faster by using appropriate arm motion and a more powerful stride. Your walking posture is of key importance. Also, pay attention to your shoes and ensure you are wearing flexible athletic shoes that will allow your feet to roll through your step from heel to toe. The vest should fit well, not too tight and not loose. You don't want the weights to be swinging freely, adding strange side motions to your walking form. The weights should be evenly distributed around your torso. Look for a design in mesh or a sweat-wicking fabric with good air flow-through so you won't get sweaty and miserable. You should be able to easily add or subtract weights. The design should still work well with whatever kind of water carrier you use if you are going to use it for walks of over 30 minutes. For most fitness walkers, there is little value in buying an expensive weighted vest. You can save your money and walk an extra minute or two to gain the same calorie burn, or to improve your walking form so you are walking faster and packing more miles into the same time. These result in burning more total calories. If you have had a weight vest recommended to by a physical therapist or a personal trainer, ask them for recommendations and how you should use one to get the best benefits. Kravitz L. The Metabolic Cost of Slow Graded Treadmill Walking With a Weighted Vest in Untrained Females. American Council on Exercise. November 2013.